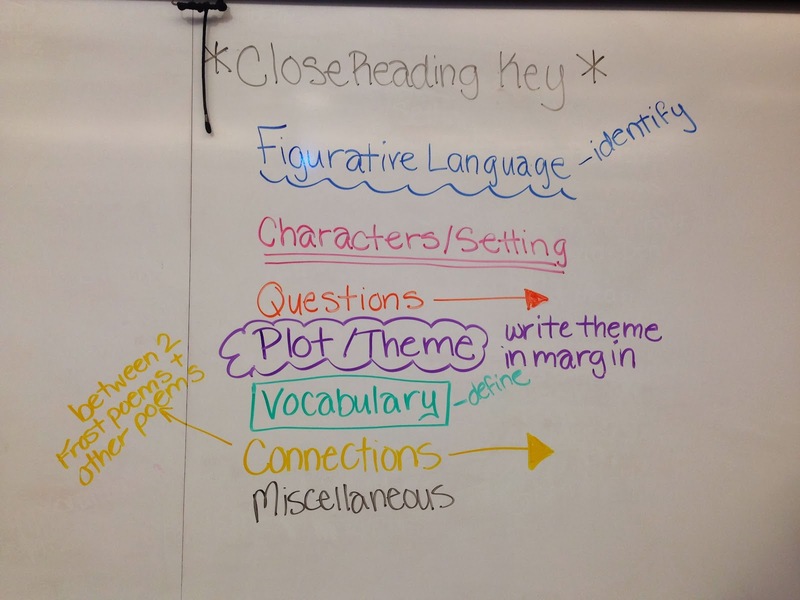 Teaching Teens in the 21st: You Guessed it....Close Reading! I'm spoiled. 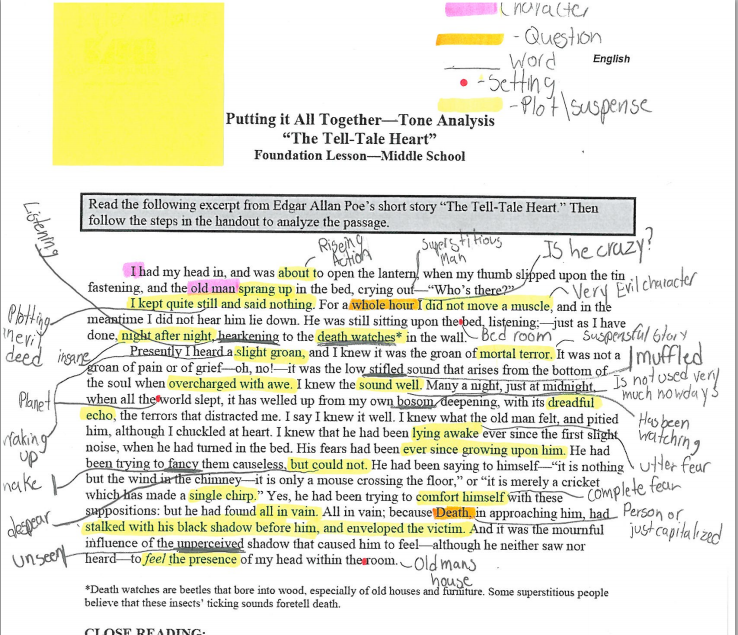 My 8th graders are amazing at close reading, and I forgot that they needed practice and time to get to that level, which we did all last year. 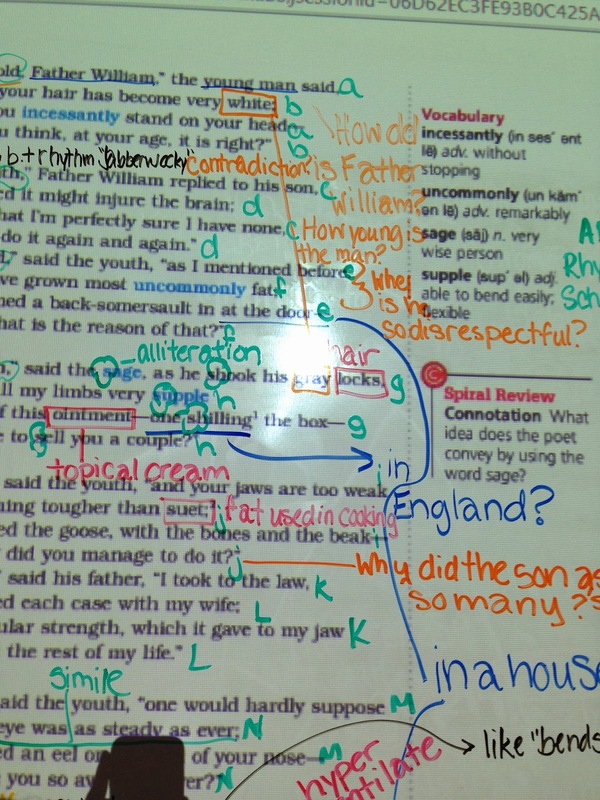 Non-Fiction Close Reading to coincide with "Flowers for Algernon"
So I was of course disappointed when my seventh graders weren't turning in beautiful and amazing close reads of "Father William". Duh! I taught the seventh graders last year how to be great close readers, and totally wasn't thinking when I assigned it! 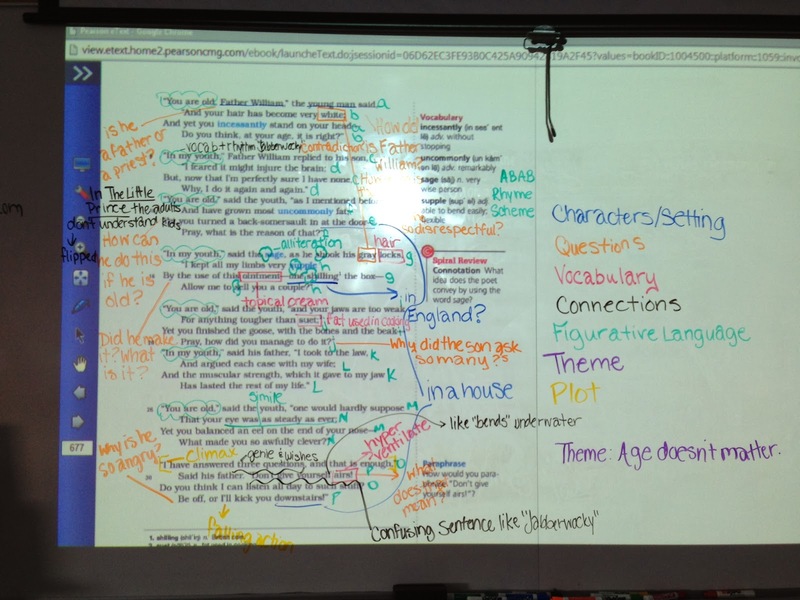 Sure, we did some practice with close reading in their introductory unit, but we only did it with non-fiction. 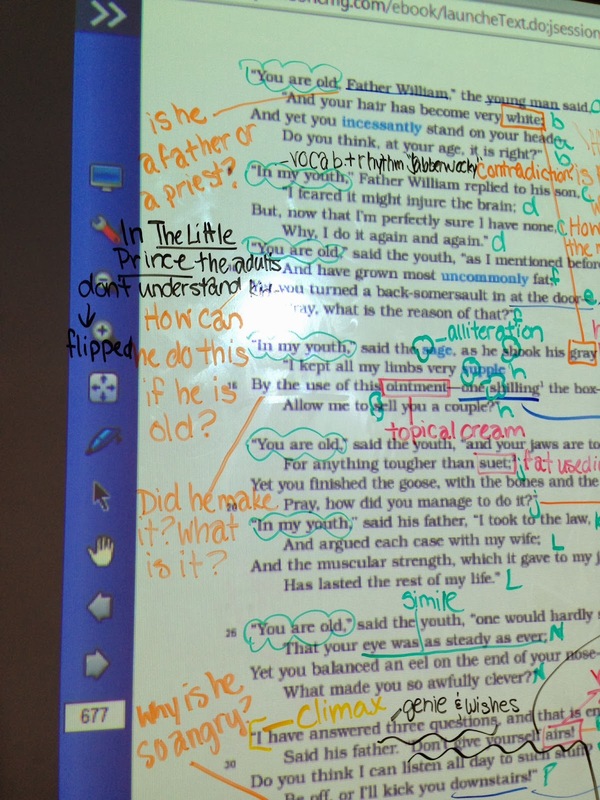 My first period was a bit more advanced since they did close reading with The Little Prince but they weren't fully grasping the importance of having a key/color coding their work so that they can identify it easier when they come back to it. So what did I do? Turned it into a valuable lesson, of course! Students were given a copy of "Father William" by Lewis Carroll and were asked to complete a close reading using the handouts in their ISN, one of which I got from the lovely Ms. W at Tales of Teaching in Heels. 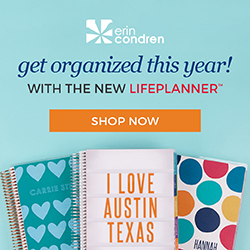 You can get the handout here in her TpT store! 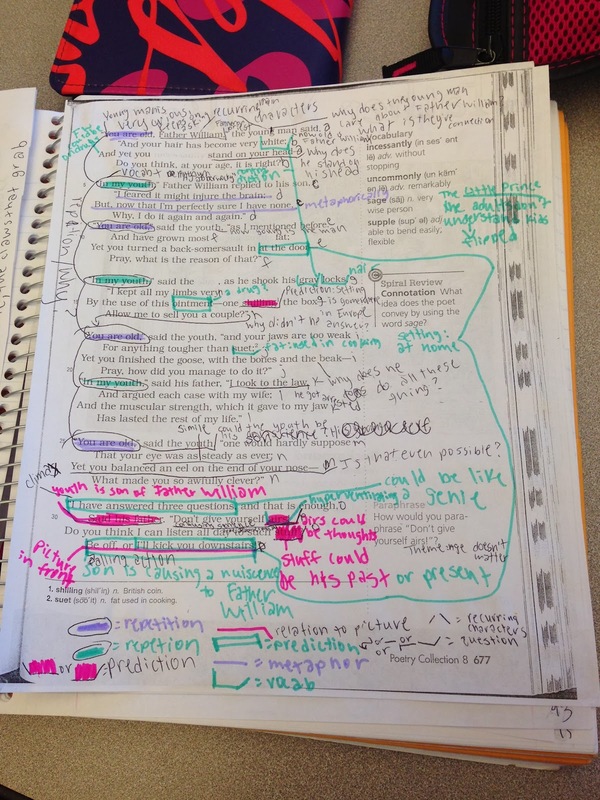 Students came back today with their close reading in hand, and I walked around to check them in for an effort grade. 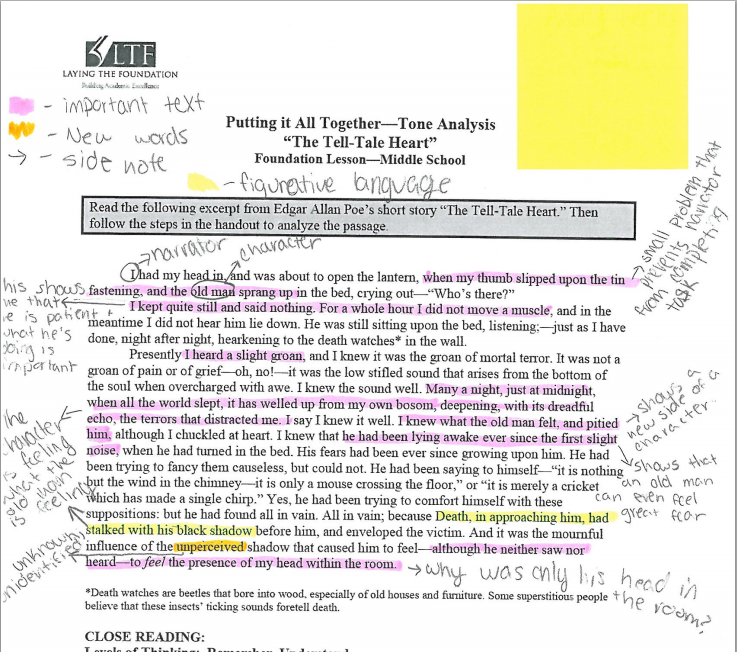 Second, I asked students to work with their small groups (they are at tables of five) for TEN MINUTES and talk about nothing else other than their close reading. They also needed to have markers or highlighters out. 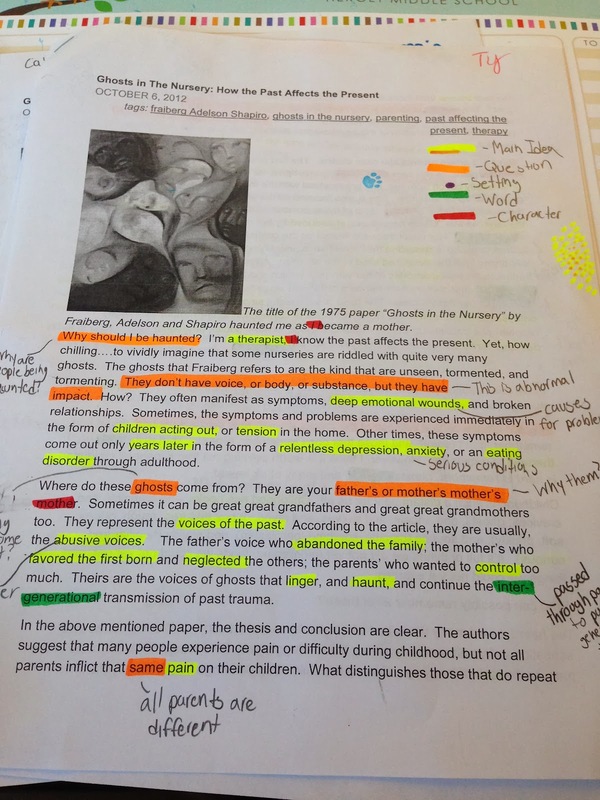 I walked around as they checked over their close reading, added things, and talked about connections to "Jabberwocky" by Lewis Carroll, which we read last week, as well as other poems. Nice and clean, ready to mark up! We went through each section one at a time, and I asked kids to volunteer what they had written on their sheets. Most of them were very confident, because they had just spent 10 minutes discussing it, so they were eager to share! They were very affirmative with each other, and there was a lot of, "I had that, too!" or, "Oh, yeah, I didn't think of that!" For their assessment, and to wrap up our Poetry Unit, students will be reading "The Road Not Taken" and "Stopping By Woods on a Snowy Evening". 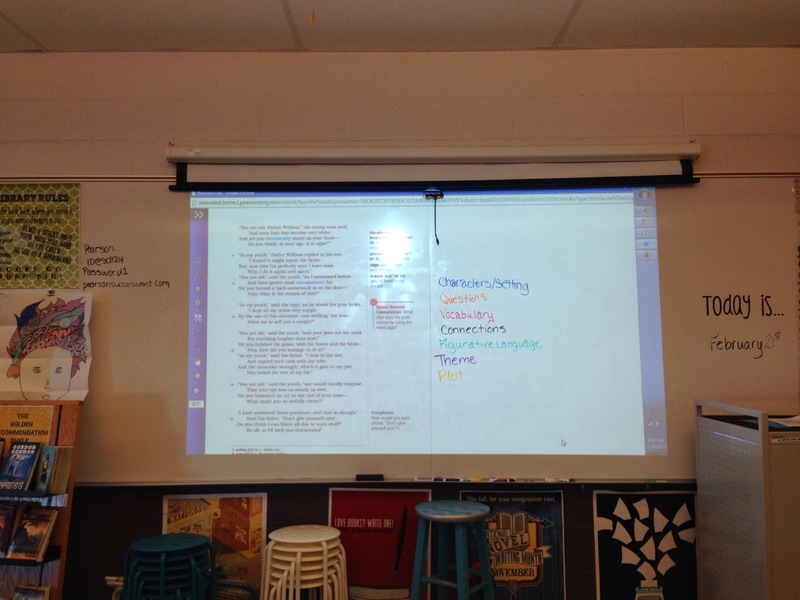 Students will be asked to do a close reading of both poems, and also read a scholarly article about the poems. Each group will receive a different scholarly article to use as an extra reference point. They will then receive their question, and prepare for a Shared Inquiry on the poems. 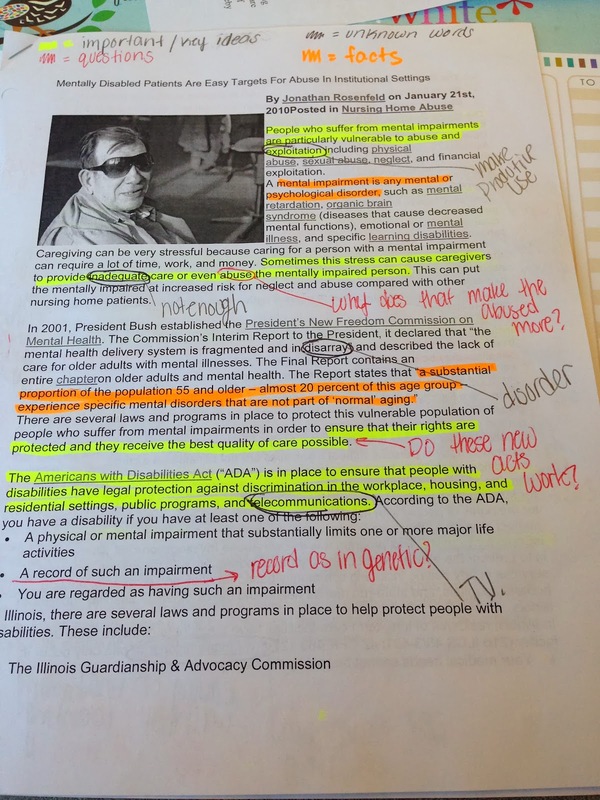 This is usually one of my favorite shared inquiries of the year, so I'm pumped to see how they do with this intense close reading session today! They are used to reading (well skimming) something once quickly and moving on. It has been painful for many to SLOOOW down and read this in-depth, but it's good or them. Any tips or tricks for the students that really struggle or are super unmotivated to do this? 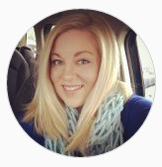 Hi Mrs. L! 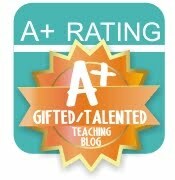 My students were not thrilled at first, but I started slowly, with a SHORT article from a newspaper, or Scope magazine. It may work better to start them off doing this in partners, and then gradually have them do a full article, maybe having a focus question for them to use in asking questions or making connections? 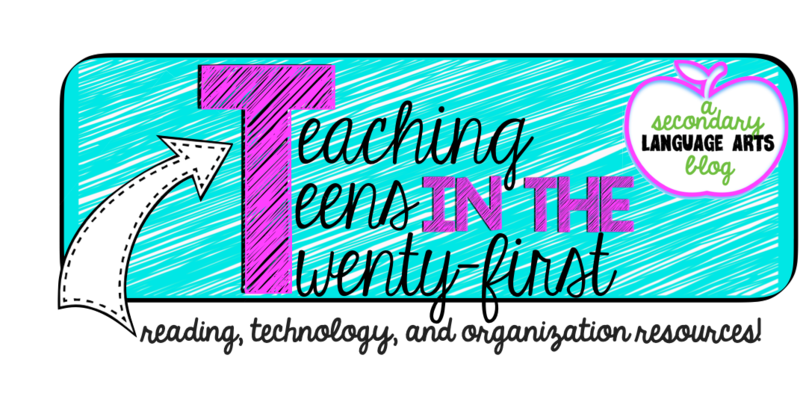 If you start with a high-interest article, such as an argument for why Cell Phones should be allowed in schools (even though they might be already at HS level) or School Uniforms, they may be more invested in the close reading? Let me know if it works out, and thanks for leaving a comment! 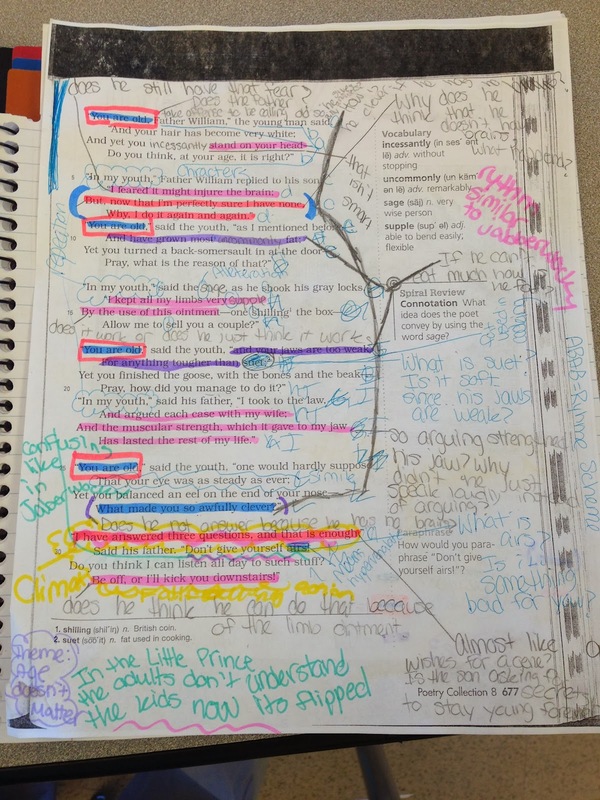 Girl....you ROCK at close reading!!!!! 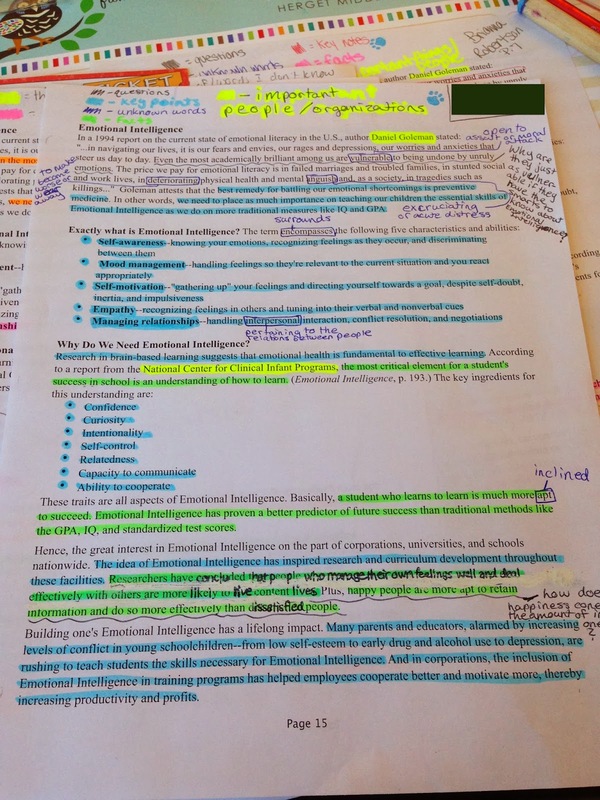 I do this, sort of, with literature, but need to do it more with expository works. 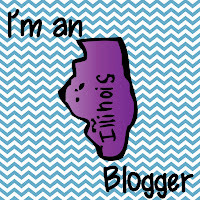 Thanks for sharing all your awesomeness!!! OK... 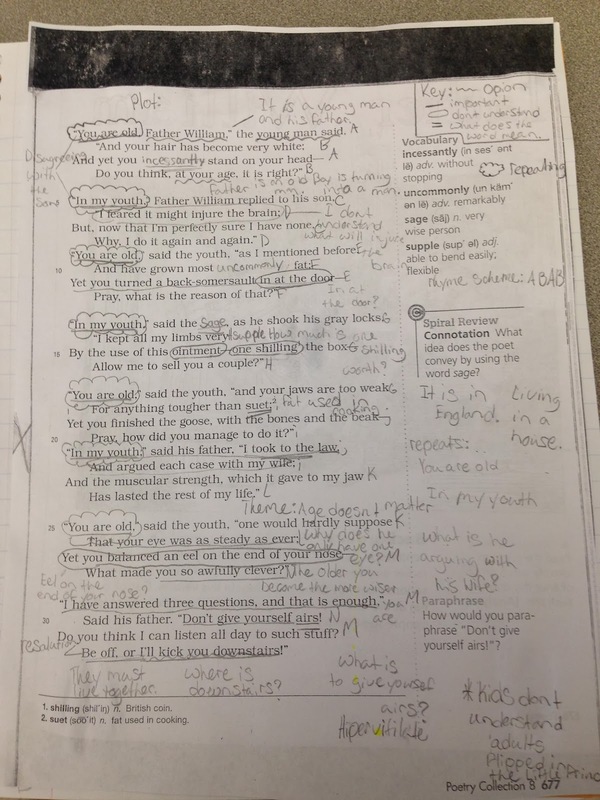 I thought I did a good job with close reading, but after seeing this, I feel very inadequate and know I need to make my students do even more work! haha Great job!!!! 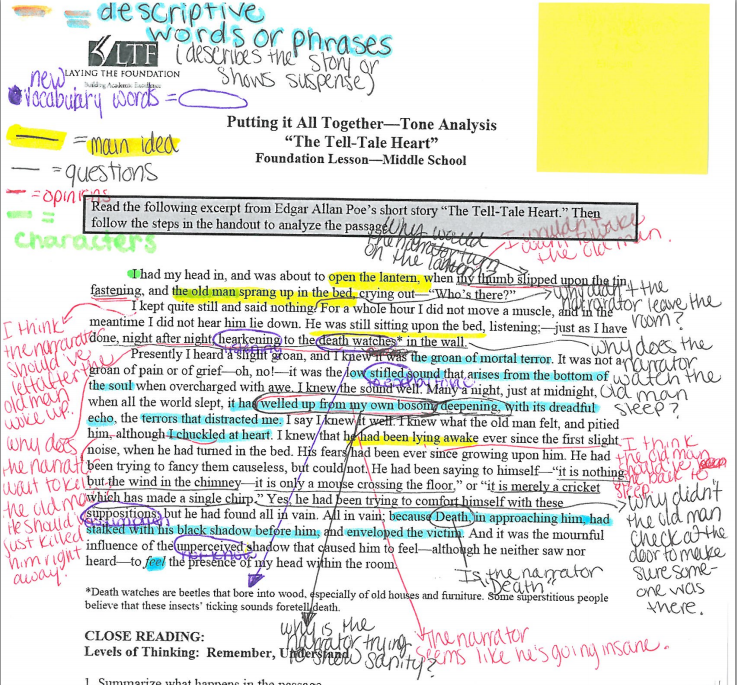 I like the idea of using a much shorter reading to get them to understand the components of text marking better. Guess I'll be heading to that (fingers-crossed-that-it-isn't-broken) copier Monday morning!